As I mentioned in my earlier blog post, the Intergovernmental Panel on Climate Change (IPCC) issued a report titled “Climate Change 2013: The Physical Science Basis” that removed any doubt about the role of humans in global warming. Although there has been some skepticism, the scientific community appears to accept the findings which raise questions about energy and environmental policy. I can’t help but wonder what the role of sustainability and sustainability communication should be in companies’ responses to the recent news. Clearly, corporations need to continue to reduce emissions and begin to adopt more clean energy and renewable sources of energy. But, I would go one step further. As part of their social and environmental responsibility, corporations need to consider promoting sustainable behaviors to their audiences. Some of my prior research suggests that corporation spend a lot of time talking about their environmental good works but very little time trying to encourage the public to think critically about environmental issues or take action toward issues. Yet, engaging the public in solving environmental problems will lead corporations to greater respect and trust by the public. Carbon Emission: Where do we go from here? According to the EPA and IPPC, the energy supply contributes more greenhouse gas emissions than any other source. However, the competition in the energy business is heating up as new energy sources are becoming more readily available – particularly natural gas from shale drilling. And, investment in emission reduction and new technology development does not seem realistic without incentives that balance the competitive landscape and reward environmentally responsible behaviors. The findings from the climate change report are grim, and experts are calling for action. According to a column in the New York Times by Eduardo Porter “William Nordhaus of Yale, to cite one estimate, wrote recently that allowing uncontrolled carbon emissions would raise the world’s temperature 3.4 degrees Celsius (6.1 degrees Fahrenheit) above that of the preindustrial era by the end of the century and cost the world a fairly modest 2.8 percent of economic output.” Something really does need to be done. Two popular options for motivating emission reductions are a carbon tax and a cap-and-trade system. Both have benefits and drawback, as we have seen in other countries and regions. For example, according to the National Renewable Energy Laboratory’s report Carbon Taxes: A Review of Experience and Policy Design Considerations, countries such as Finland, Norway, Sweden, Denmark, and some Canadian provinces have experienced success with a carbon tax. They have seen marked decreases in carbon emissions, and the tax funds have been redirected to environmental projects, and in some cases to reduce income taxes and other taxes. But, carbon taxes raise a number of concerns. First, while a carbon tax sets a known cost per pound of emissions, it does not inherently limit emissions. It may increase costs to businesses but not achieve the overarching goal – reduce emissions. Recently, the Australian government announced its intentions to repeal a carbon tax in the near future. The other common approach is cap-and-trade, which seemed to be welcomed policy in 2009 when the American Clean Energy and Security Act was approved by the US House of Representatives. However, later, it was defeated in the Senate. In many ways the bill was similar to the European Union Emissions Trading System, which has had the greatest volume of CO2 allowance trades of any carbon market program. Despite a few bumps in the road, it has been successful in reducing carbon emissions. The advantage of a carbon market is the ability to set an emissions threshold and permitting allowances to be traded on the market, setting a reasonable price. As the economy improves, prices rise, and should the economy fall, prices follow. But, as Newell, Pizer, and Raimi write in the journal article Carbon Markets 15 Years after Kyoto: Lessons Learned, New Challenges, “A key question for – and sometimes criticism of – current market-based policies concerns the degree to which they encourage long-term investment in new technologies rather than solely short-term fuel-switching and energy conservation” (p. 132). Will cap and trade programs lead to the long-term goal of creating technologies that reduce emissions and/or use renewable energies? To add a dose of reality, the current political environment in the US would hardly allow for either policy. Congress can’t even get a budget passed. That is why we see regulations on emissions coming from the Whitehouse and EPA in conjunction with programs that will fund research into new technologies that will help industry reach the regulation requirements. It’s not a perfect solution, but considering the current state of our political system, it may be the best solution to keep forward momentum. This entry was posted in Energy, Public Relations, Sustainability. According to the US Environmental Protection Agency and the Intergovernmental Panel on Climate Change, globally, the energy supply contributes 26% of greenhouse gas emissions measured in the environment. This does not include transportation (13%), industry (19%) or residential and commercial buildings (8%), among other industrial outputs. The emissions come primarily from coal, natural gas and oil use for heating (most often in the form of electricity). As reflected in transportation, this does not include fossil fuels used for air, road, and rail travel. Although coal and oil may be plentiful, the cost to the environment is significant. In industry, it appears that some companies are not taking energy use and emissions seriously, or at least the disclosure of emissions (see: Amazon, Apple Among Companies Ignoring SEC Climate Change Risk Disclosure Rules). This is a problem, particularly considering recent findings by the Carbon Disclosure Project that 10% of world’s largest companies (Global 500) produce 73% of greenhouse gases. So, how do we create stable energy policy that encourages more clean energy use and moves us away from high impact emissions? We saw two steps in the right direction this week in the form of energy and environmental policy coming from the White House. First, Obama announced higher standard for carbon emissions from power plants for the first time in the US. This ground breaking legislation would require the coal industry to lower its emissions to meet that of other fossil fuels, such as gas. Critics point out that the technology to reduce emissions to this level does not exist. And, that makes Obama’s second proposal that much more appealing to the coal industry. The President announced an extension of a Department of Energy program that will fund loans for technological developments that reduce carbon emissions of fossil fuels, including coal and natural gas. The coal industry now has the resources to develop technology that will reach the standards set by the administration. This was a smart move that drives interest in both pieces of legislation. Access to loans will be more valuable with the looming standards for carbon emission. And, the higher standards are more readily accepted with access to loans to help develop technology that will clean up fossil fuel emissions. However, cleaner fossil fuels only offer a short term answer. The greater question is how do we encourage transition to renewable energy? As Ann Carlson and Robert Fri suggest in their article Designing a Durable Energy Policy, goals of clean energy policy play outside of the marketplace – in other words, people don’t want to pay more (or be taxed) to have more secure energy or cleaner energy. That makes the transition to a new energy source difficult to sustain. There is no easy answer, but I believe businesses have a role to play in bring about the transition. As an important constituency of energy policy, their stance can influence legislators and the public. By adopting renewable sources of energy and demanding reasonably priced clean energy sources, they will affect the marketplace for these products. Sustainability has become a business strategy and part of the culture for many companies, and that can have a broad impact on energy use and emissions. Although some companies do not appear to have made the necessary commitment to move the business world forward, others have, and I think that is another step in the right direction. This entry was posted in Energy, Public Relations, Sustainability and tagged energy, energy policy, environmental communication. The New York Times Dot Earth blog ran an interesting story on recently published research on gas leakage at drilling sites. Predictions had ranged widely, but the results suggest that the amount of methane that escapes in the drilling process is lower than expected (and feared). That’s good news for the many residents of PA who live within eye sight of a well, and for the climate in general. But questions still remain about the impact of the drilling process on the environment. This was the first of a number of papers published from a large research study. I’m curious to see the others. This weekend I was reading through a new policy proposed by the Environmental Quality Board (EQB) in Pennsylvania to regulate the oil and gas industry. The regulations were posted on August 27, 2013, and the Board is taking public comments for 60 days. Apparently, an advisory board met many times over the past few years to develop this and other legislation relevant to the oil and gas industry in the state. I’m curious to know more about how the policy was developed and how the public comments will influence the final regulations. I understand the role that communication plays in public affairs, but it will be interesting to see it play out over the next couple of months. The DEP has promised to hold six open sessions with the public this fall for input and feedback on the legislation. The dates and times are not posted yet, but I hope to attend at least one. Ensure the protection of public health, safety, and the environment. Protect public resources to minimize impacts from oil and gas drilling. Modernize the regulatory program to recognize advances in extraction technology. Specify the acceptable containment practices to prevent spills and releases. With a focus on health, safety and the environment, the policy includes elements of energy and environment. I’m still trying to determine which it is. Should we keep energy policy and environmental policy independent? William Lowry (2008) notably argued in Disentangling Energy Policy from Environmental Policy that the two types of policy should be developed independently because the inclusion of environmental elements in energy policy makes the policy politically contentious and ultimately inhibits good policy development and implementation. Traditionally, the purpose of US energy policy is to ensure that citizens have access to an adequate supply of energy, to keep the costs of energy low, and to work toward energy independence. Environmental policy, on the other hand, tries to minimize the impact of business, personal, government and other actions on the environment as well as offer ways to encourage responsible use of environmental resources. When the two intersect (energy and environment), Lowry argues that they can work against one another. Of course, he was not arguing against regulations of the energy industry, and the example of the recent PA regulations may not be a good one in this context. Maybe a better example would be national legislation such as the Energy Independence and Security Act from 2007 which provided funding for training for green jobs. Although green jobs are needed, some would argue that they should not be funded through energy policy. That’s one perspective, but here’s what I think. There are advantages to including environmental elements in energy policy (and discussions about policy). First, one of the biggest hurdles in developing good energy policy is overcoming the lack of public will for energy policy when the economy is strong and the price of energy is low. However, I believe that including environmental values in the debate about energy could be a way to create a sense of urgency in good economic times, when cost and availability are not driving policy. I think we are seeing this with the calls for policy to help address issues of climate change. Although the cost of energy may not motivate changes in policy, the concern about the impact of fossil fuels on global warming may help spur some policy changes that move us toward renewable resources. And, second, I think that our recent understanding of the link between energy use and global warming makes the inclusion of environmental elements in energy policy imperative. Energy policy that considers only resource availability, cost, and energy independence without addressing the impact of energy is not sustainable (and I would argue not ethical). It is good to see PA address important issues regarding waste water treatment, public land use, and safety related to abandoned mines (all of which are in the regulations). So, regardless of whether the new regulations in PA are energy policy or environmental policy, they appear to be good policy for the state. This entry was posted in Energy, Sustainability and tagged energy, energy policy, natural gas, pennsylvania. 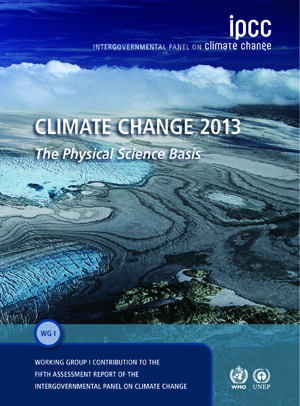 The Carbon Disclosure Project released its CDP Global 500 Climate Change Report 2013 today. The report includes the Climate Performance Leadership Index (CPLI) which features companies with strong climate strategies. In addition, the report found that 50 of the Global 500 companies are responsible for 73% of greenhouse gas emissions. This is astounding. According to the report, carbon emissions from these companies have risen year over year. You can find more information in the report or at the links below. Results Released Today by 2 Ratings Heavyweights – Blog | SustainAbility. This entry was posted in Energy, Public Relations, Sustainability and tagged climate change, reporting, sustainability. After thinking a bit more about my post yesterday on Energy Policy and Transitions, I realized that the US may be in the middle of a transition, due to the sudden discovery of a large reserve of shale gas. Another study found that the Cost of Natural Gas Used in Manufacturing Sector Has Fallen due primarily to the increase in availability through shale extractions. However, the benefits of shale gas need to be balanced with the environmental risks that fracking brings. Many advocacy groups have raised concerns about air and water pollution as a result of the extraction process. Careful consideration of these potential consequences is needed in the creation of reasonable energy policy. This entry was posted in Energy, Sustainability and tagged energy, energy policy, natural gas, sustainability.